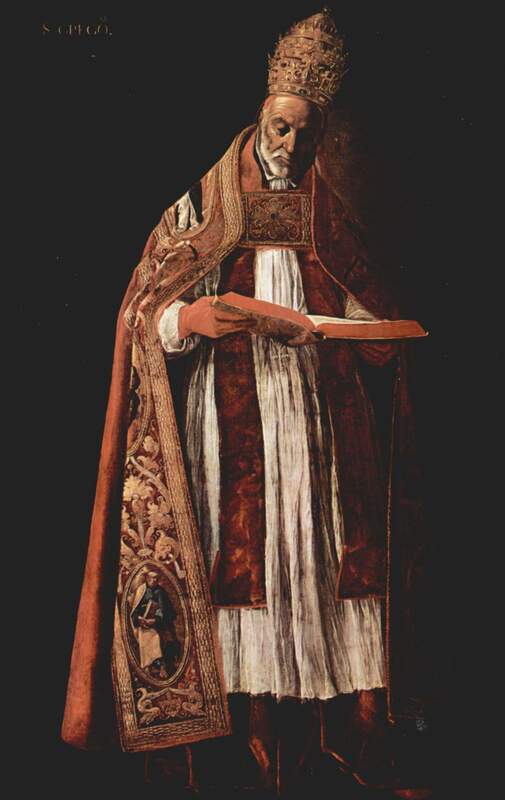 Pope St. Gregory the Great (Gregory I, 540-604) was one of the mighty figures of the Early Mediaeval papacy. He was the bishop of Rome from 590-604 and left behind an enormous corpus of writings, including sermons on the Gospels, Ezekiel, and the Song of Songs; his Dialogues about the lives of Italian saints, the most famous of these being the second, all about St. Benedict (saint of the week here and here);* an influential commentary on Job; the Pastoral Rule; and a surviving corpus of 854 letters known as the Register. He was Bishop of Rome in a turbulent time. The Eastern Roman Empire had reconquered Italy in his lifetime, and he was one of a line of popes friendly to the Emperor in Constantinople, in his case the Emperor Maurice (from what I recollect, not a bad Eastern Roman Emperor). However, by the time Gregory attained the see of Rome, most of Italy, save Rome and Ravenna, was under the rule of the Lombards — primarily pagan or Arian in belief — and not the Emperor on the Bosporus. 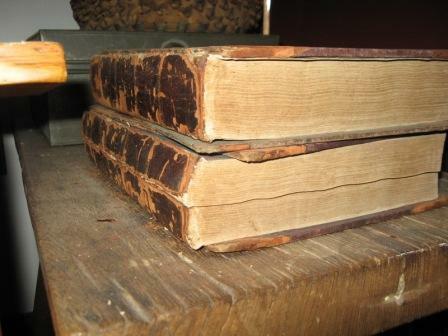 Despite the various vicissitudes of Early Mediaeval life, such as lamenting the spoliation of Rome’s monuments by its own citizens, or the gradual and decades-long process of ruralisation (I know this is a contested point), Gregory did his best to keep Christianity and Christian culture strong in Rome and beyond — hence, in part, his energetic literary activity (note that my friend Leo the Great [saint of the week here] only left us 173 letters and had a papacy five years longer). Besides being a great pastoral theologian (he distilled Cassian’s Evagrian Eight Thoughts into the Seven Deadlies) and notable preacher, part of Gregory’s attempts to keep up the intellectual spiritual life of the West was found in liturgical reforms. He moved some things around, and is credited by tradition for inventing Gregorian Chant. He also helped make the liturgy a bit more flexible according to the Church Year, and thus many sacramentaries of the centuries following his papacy bear his name. He was also a missionising pope. By Leo X, people may be uncomfortable with the claims of universal jurisdiction made by the Roman See. Now, I’m not 100% sure if Gregory made such claims, but he certainly seems to have wielded some authority beyond Italy the way Bede (saint of the week here) writes about. Anyway, Gregory was the pope who sent Augustine (saint of the week here) to Canterbury and began the evangelisation of England. From England, as noted when Boniface was saint of the week, came many other missionaries to the Germanic barbarians in later years. His energy and his desire to see the intellectual and spiritual life of the world around him prosper are certainly reasons to remember Gregory the Great. He is one of the Four Doctors of the Western Church from the Patristic Age. His feast day is this coming Saturday, September 3. The Life of Benedict from the Dialogues is in the Penguin Classics Early Christian Lives, Carolinne M. White, ed. and trans. It is also online here. NPNF2 translation of the Book of Pastoral Rule and select letters on CCEL, and more letters here. These translations also come with good, if dated, introductions. 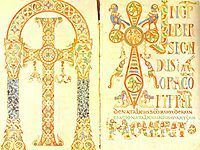 *For the discussion on the Gregorian authorship of these Dialogues, there is a good post at Liturgy from last week. The epistle reading is similarly Bible-focussed: Romans 15:4-13. The Word of God is to be proclaimed and read aloud. I believe this applies even to today when most of the population is literate. The spoken word, as an action, has force and power different from the printed word. ** We are also to read it ourselves, though. Sunday morning is not enough; our involvement with the Scriptures is to be personal. As we read the words of life, we are also called to mark them, learn them, and inwardly digest them. That last phrase, “inwardly digest them,” is among my favourite Prayer-Book phrases. As we study the Scriptures, we aren’t just supposed to observe them critically as we would the Aeneid or the Tome of Leo. We are to digest them. They are to enter into our very being and become part of us. This is a very dynamic, very physical image. And what is the result of our intimate acquaintance with the Scriptures? The Scriptures give us patience — endurance through suffering — and comfort — strength. Through this endurance and this strength, we come to a place where we are able to embrace — again, a very personal verb — and hold fast — imagine someone holding onto a rope so as not to fall into a chasm — the blessed hope of everlasting life. The Christian hope is not simply the hope of a better world, the hope of temporal joy, the hope of moral improvement but the hope of eternity for those who put their trust in Jesus, in God, Whose character is displayed to us on the pages of the Bible. And whence does our hope come? The Christocentrism of Reformational thought (I acknowledge that there was/is much Christocentrism in Catholic thought; I am not speaking of Catholics, though) comes forth. Our hope of eternity comes from Jesus. Cling to him whom we have found in the pages of the Scriptures and we cling to our hope, we cling to eternity and escape from death. This is a good thing. So we should all read our Bibles, and read them carefully, so that we can come to know better the God who saves us through Jesus Christ and be transformed and cling to the hope of everlasting life. *I hereby acknowledge Archbp. Thomas Cranmer’s debt to the Gelasian and Gregorian Sacramentaries. Part of his genius was in selection and translation, part in adaptation of the tradition, part in original composition. **My own adaptation of Walter J. Ong, Orality and Literacy.